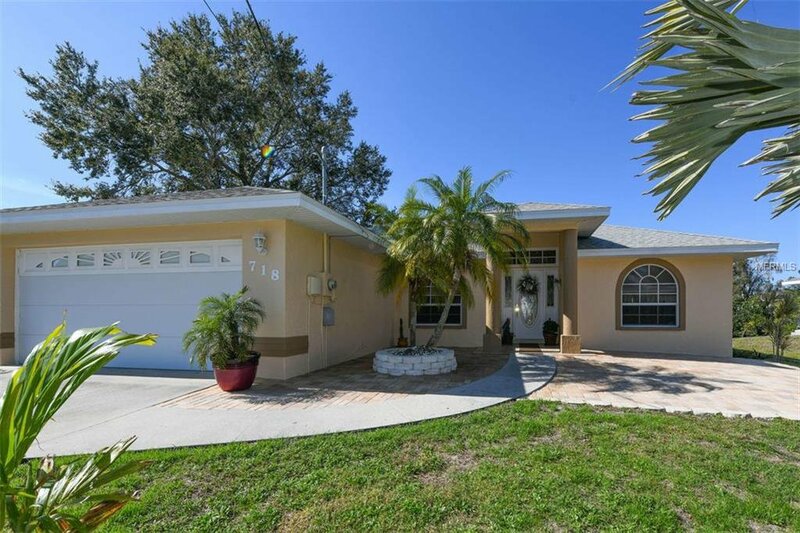 This immaculate 3 bedroom 2 bath canal front home is move in ready! Step right out your back door to your own private oasis and enjoy your dock with beautiful canal frontage! Enjoy the manatees and dolphins as they play in the canal. The back patio is completely screened in and overlooks the canal. Enjoy entertaining in your own tropical paradise. The kitchen boast granite counters and white cabinetry. New roof, new water heater, brand-new washer & dryer, newer energy efficient AC. Make your appointment to view this truly one of a kind home. Listing courtesy of BRIGHT REALTY. Selling Office: FINE PROPERTIES.